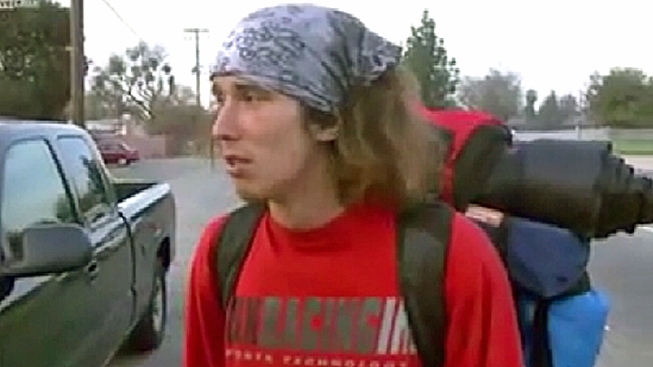 Authorities have arrested the internet celebrity known as "Kai the Hatchet-Wielding Hitchhiker" in connection with the murder of a New Jersey lawyer. Caleb Lawrence McGillvary, who received the nickname because he used a hatchet to subdue a man who ran over a California utility worker, was arrested at a Greyhound Bus terminal in Philadelphia, police said. Officials believe McGillvary, 24, killed Joseph Galfy, who was found in his Clark, N.J. home on Monday, dead of blunt force trauma. Prosecutors say Galfy met McGillvary in Times Square Saturday night, and brought him back to his house to spend the night. They say they believe the two men had a sexual encounter. Authorities investigating the killing of a New Jersey lawyer issued a murder warrant for an internet celebrity known as "Kai the Hatchet-Wielding Hitchhiker." Pat Battle reports. 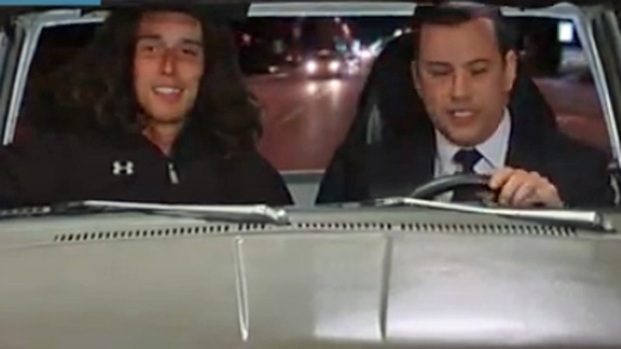 Authorities said McGillvary, who has appeared on "Jimmy Kimmel Live," pondered on his Facebook page Tuesday the idea of waking up in a stranger's house with a groggy head and injuries, and the realization of being drugged and raped. "What would you do?" he wrote, according to officials. McGillvary gained notoriety earlier this year when he was hitchhiking with a man who allegedly attempted to run over a utility worker. According to the Fresno Bee, McGillvary pulled a hatchet out of his backpack and struck the driver in the head after the dispute, and others held the man until police arrived. McGillvary describes himself as "homefree," rather than "homeless," and said on Kimmel that he steals from Wal-Mart, Target and Safeway and gives away the loot. Authorities said he will be processed in Philadelphia and returned to New Jersey in the coming days. News of the arrest came just as family and friends had gathered at a New Jersey funeral home for Galfy's wake. "I prefer to think that Joe was a decent person who opened his door to someone and paid a hell of a price," said Michael Savvis, a friend of Galfy's. "I thought he was a good man, a great attorney."